Hillside, NJ & Cary, NC – April 22, 2013 – Game creators WizKids/NECA and MFV have launched the latest addition to the HeroClix brand. Taking players on a mobile adventure, TabApp™ Elite is now available for free download for iPad® and select Android™ devices. The app’s physical DC Comics Super Hero figures are also available from Hastings and local hobby and game shops nationally. The DC Comics Superman™ Starter Pack, which contains a physical Superman™ TabApp™ Elite figure and branded ClixStation is available for $14.99 USD. Also available is a Booster Pack, $9.99 USD, containing additional figures, including a Batman™ TabApp™ Elite figure and Wonder Woman “Ally” figure, which can be used alongside other hero figures in game and placed directly on the mobile device. TabApp™ Elite figures are 100% compatible with the HeroClix tabletop game and come with a free code to unlock their HeroClix Online counterpart. TabApp™ Elite is available today for download for iPad® on the AppStore™ and from the Google Play™ store for Android. 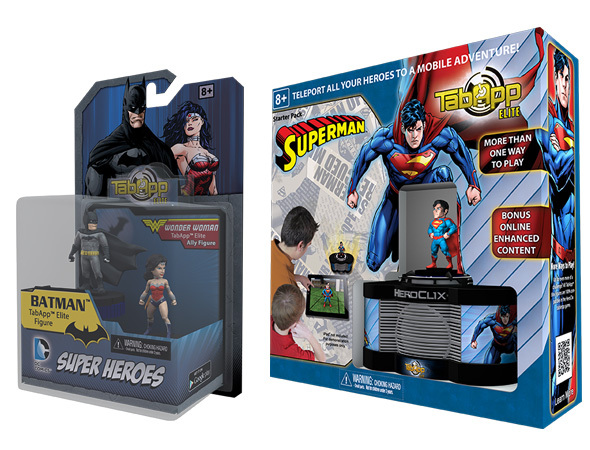 Original HeroClix TabApp™ DC Comics figures will also be compatible with TabApp™ Elite this June. For ages 8 and up, TabApp™ Elite takes players on a heroic adventure, unleashing powers of legendary super heroes right on their iPad® or Android device! 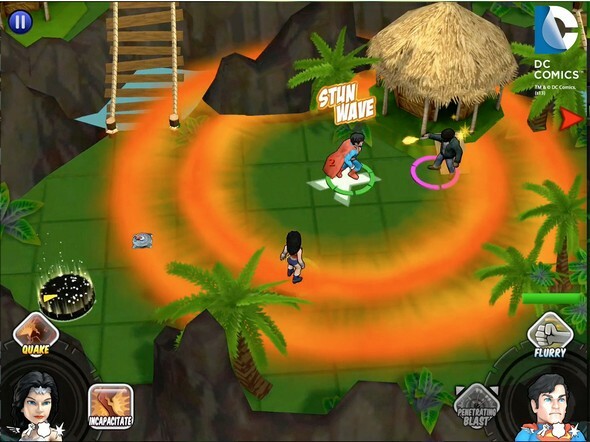 Heroes are invited to play their way, choosing from a selection of widely popular DC Comics Super Heroes, variety of play styles, 3D isometric maps and more! For more information on TabApp™ Elite, visit www.tabappelite.com. For updates, follow TabApp™ Elite on Facebook and Twitter.